With the trend in the A4 1.8T community heading towards the "big turbo" (BT) GT28 variant (GT28R, GT28RS, GT2871R, GTRS) of upgrades and the lack of available intercoolers capable of adequately supporting these turbos, Evolution Racewerks introduced Evolution Racewerks' Competition Front Mount Intercooler (FMIC) kit to fill the void. While the smaller intercoolers available today are adequate for the OEM K03 and K04 upgrades, they begin to be overwhelmed by the increased need for better cooling with these big turbos popular today. Even still, on the smaller intercooler, heatsoak becomes a problem after repeated runs, even with the OEM K03 and K04 turbo upgrades. Evolution Racewerks Competition FMIC kit was designed to overcome ALL these issues. The heart of the ER Competition FMIC is the massive 20" x11x3" (24" x11x3" with end tanks) high density bar and plate intercooler core. It features 660 cubic inches intercooler core, more than ANY other FMIC available in the market (almost more than double in size than most). Through extensive testing of different types of intercooler cores (tube & fin, bar & plate) Evolution Racewerks found that the high density bar and plate core to be the most efficient. Independent testing (all data & dynos shown below have been independently conducted by Evolution Racewerks' customers) has shown that Evolution Racewerks' FMIC is so efficient in cooling that it has cooled intake air temperatures (IAT) to almost ambient (outside) temperatures. Evolution Racewerks also did extensive testing on the proper size to use to effectively cool the hot charged air from these big turbo upgrades as well as fight off "heatsoaking" (when the intercooler cannot transfer heat away faster than the heat building up from the hot intake air). "Heatsoaking" is not an issue at all as shown by consistency of the IAT staying in the same temperature range throughout the whole RPM powerband. Also Evolution Racewerks' FMIC recovers so fast after a full throttle pull that once you shift, it recovers completely. This is why pull after pull, Evolution Racewerks' FMIC does not "heatsoak". Beat on it all day long and the IAT's will consistently be near ambient temperatures. Evolution Racewerks Competition FMIC is just what it is, designed for competition. The other intercoolers may be adequate if you lived your life a mile at a time (with hours between runs to cool down), they will definitely "heatsoak" under harsher conditions like road racing where you're at full throttle for at least 20 minutes. Imagine you pegged behind the rear bumper of the car in front of you. With no cool airflow flowing through your intercooler, it will "heatsoak" very fast, loosing you that very precious power you need to pass the car ahead of you. The FMIC then becomes a heatsink. Since Evolution Racewerks' FMIC's are considerably larger than the competition, it can "hold" more heat longer before it heatsoaks, giving you extra valuable time with all the power you need to make the pass. With it's size and ability to support over 600hp, it is the "last intercooler you will ever buy", no matter what size turbo you decide to run in the future. 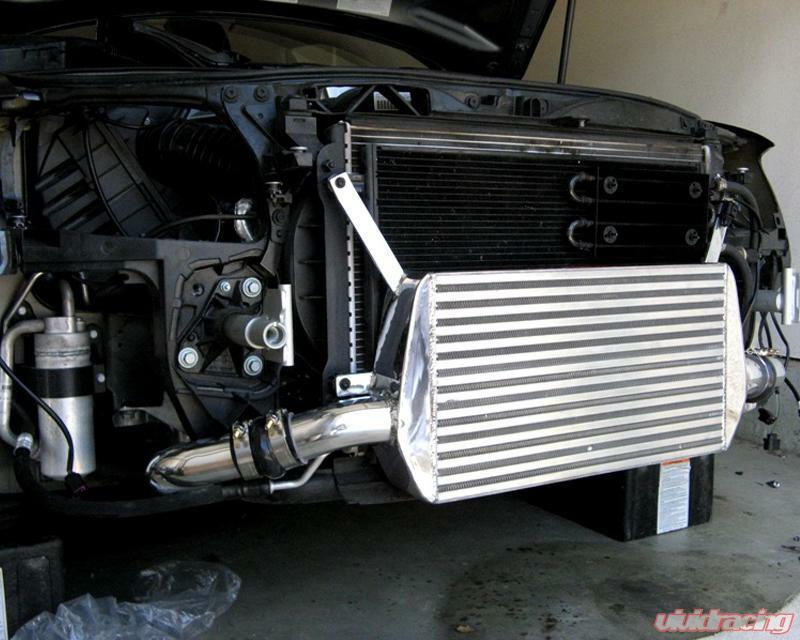 All Evolution Racewerks' intercooler applications come standard with a mirror polish intercooler and piping. Evolution Racewerks also offer and stock Evolution Racewerks' intercooler applications with Type III Hard Black Anodizing for the guys that want the stealthy look. With the Type III Hard Anodized FMIC, it is very hard to tell there is a FMIC on the car. Most of Evolution Racewerks' customers with the Type III Hard Anodized FMIC comment that unless you know there is a FMIC on the car, nobody notices it. Another added benefit of the Type III Hard Anodizing is that it makes the intercooler fins harder and stronger, which makes it less prone to getting bent/damaged from road debris like rocks etc... Evolution Racewerks opted for the Type III Hard Anodizing over the Type II color anodizing which is only asthetics for this purpose only (even though it cost us considerably more to anodize Type III than Type II). Evolution Racewerks have been using Type III Hard Anodizing on FMIC Evolution Racewerks put on Evolution Racewerks' rally car customers for years which go through tremendous amounts of abuse. Testing has shown no noticeable ill-effect from the Type III Hard Anodizing on performance (regular spray paint etc... has shown ill-effects on performance). 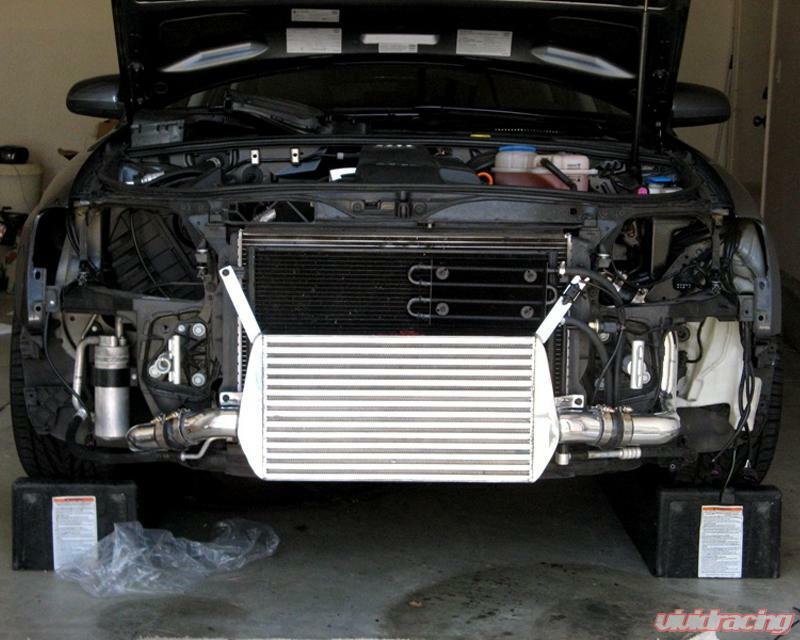 Almost every intercooler manufacturer claims to have the best intercooler on the market. However, research for yourself. Check the intake air temperatures of all these manufacturers. Ask the B6 A4 communities on the internet forums. You will see that NOBODY can touch Evolution Racewerks' IAT's. When you pull up and people see the ER Competition FMIC, they KNOW you mean business!Evolution Racewerks go through extensive R&D to test all the innovations and features Evolution Racewerks incorporate into Evolution Racewerks' intercooler systems. With years of experience building race cars and high power street cars, you can be sure that you're getting the best. NEW! 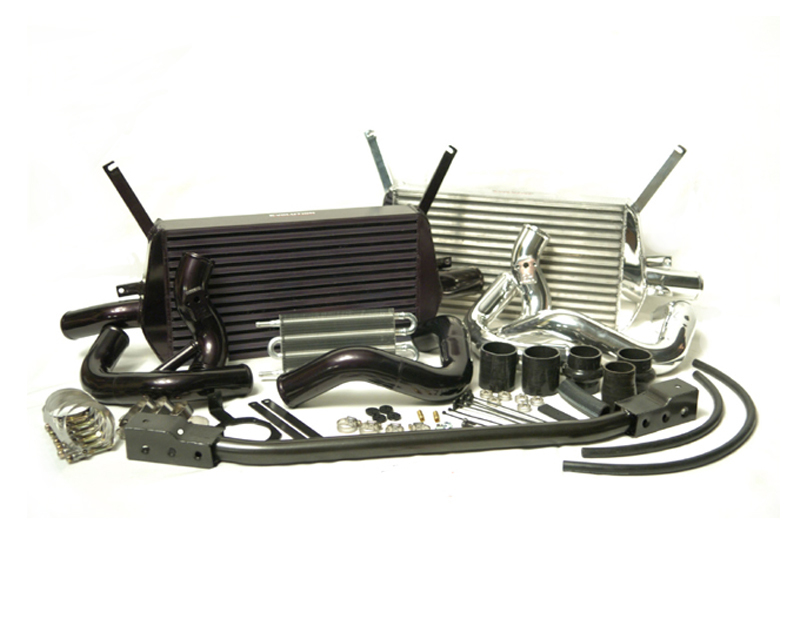 Due to demand, Evolution Racewerks have now released the Competition FMIC Basic Kit for the DIY inat a reduced price! It features everything you need for installation just like full kits. The only difference is that it does not include some of the "amenities" like the new bumper reinforcement bar, upgrade power steering cooler, t-bolt clamps and hump hoses. It requires the DIY installer to modify the OEM bumper reinforcement bar. The Competition FMIC Basic Kit is perfect for those who are willing to do a little bit more work to save a few more bucks in your pocket to get the BEST FMIC available! Large 20"x11"x3" (24"x11"x3" with end tanks) High Density Bar & Plate Construction Intercooler Core. Rolled intercooler end tank design (welded and port & polished interior for improved flow). Complete all aluminum intercooler piping, replaces every single OEM piece with hard piping for improved throttle response. 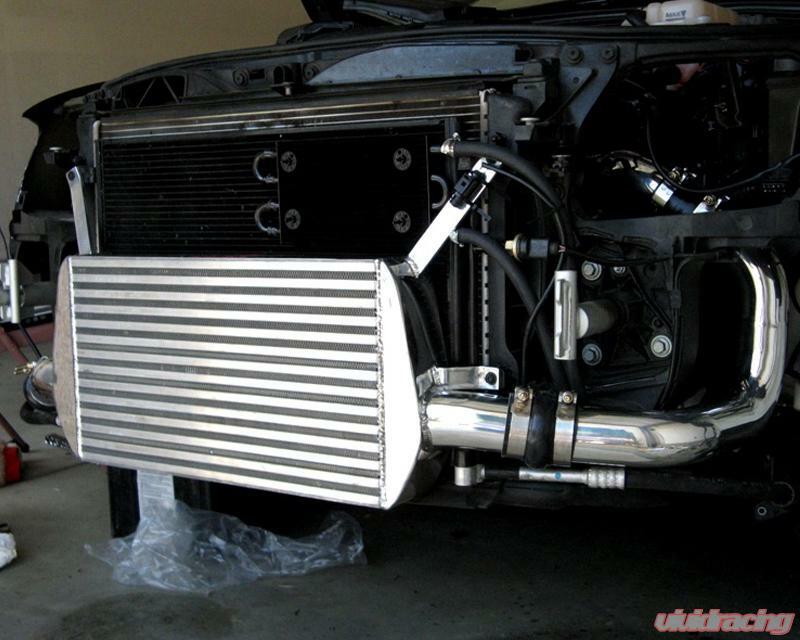 Larger sized intercooler piping than OEM, optimized for "Big Turbo" high horsepower applications. Intercooer piping features beaded ends, silicone "hump" hoses and T-bolt clamps to prevent intercooler piping from coming off from boost. Designed for OEM or OEM style diverter valves (non OEM style diverter or blow off valve flange/positioning available upon request). Smog pump relocated to make room for the least amount of bends and shortest intercooler piping possible (for faster response/decrease turbo lag). 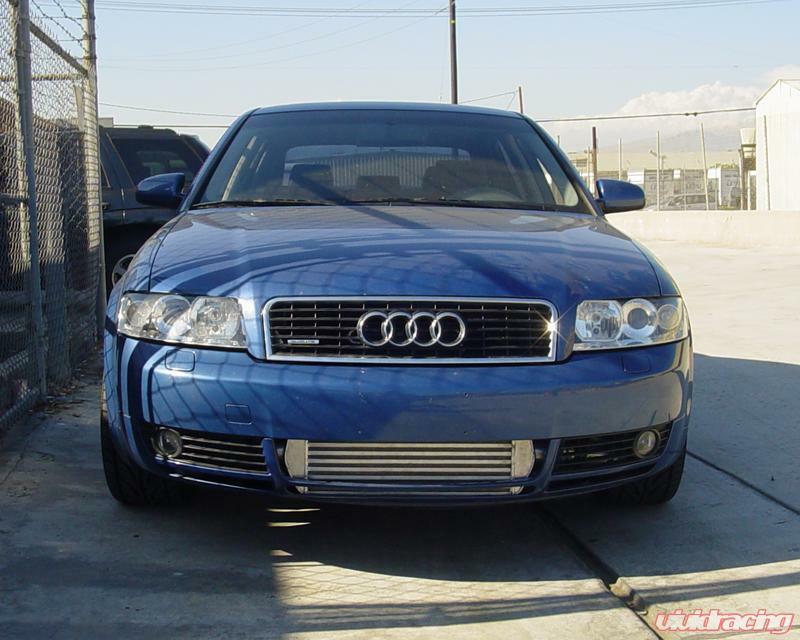 Retains the OEM side fog light covers and lower center grill for the OEM look. New rebar is made from thick DOM roll cage material and features dimpled plating for added strength. No need to tweak or "rig" the OEM piece. Images are used for marketing purpose only actual product may vary! This kit requires the DIY installer to modify the OEM bumper reinforcement bar. The Competition FMIC Basic Kit is perfect for those who are willing to do a little bit more work to save a few more bucks in your pocket to get the BEST FMIC available! 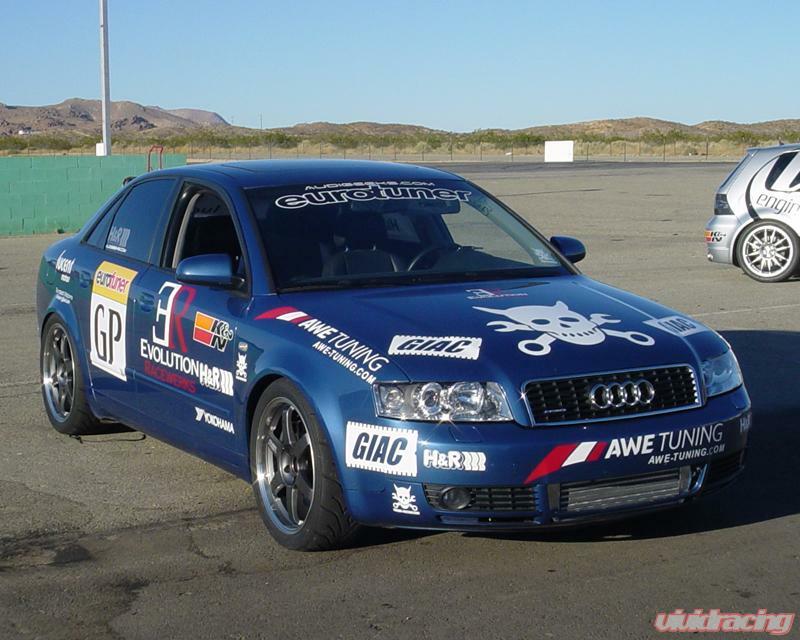 Evolution Racewerks started off as a custom fabrication shop in 2004. Their experienced staff of fabricators and welders can build any part you can dream of. Their talented welders are capable of working with steel, stainless, aluminum and titanium. They can also help build your future race car from the ground up! From chassis preparation (chassis seam welding and roll cage construction) to complete assembly and preparation of the car. To get the best deal on Evolution Racewerks products call our talented sales staff today!